Mr. and Mrs. Homeowner are happy in their house and paying their mortgage on time. Unfortunately, a life change (loss of job, illness, divorce, etc), forces them to miss a payment. The bank that holds their mortgage (or the mortgage servicing company), calls the homeowner with a gentle reminder that they missed a payment and to feel out the situation. Maybe Mr. and Mrs. Homeowner pay the past due payment and life goes on, but maybe they don’t. Maybe they tell the bank they are sending the payment, but they never do. When the bank finally believes that Mr. and Mrs. Homeowner are not going to pay the past due payments, they contact their Minnesota real estate attorney. Mr. Attorney starts the foreclosure process by filing paperwork at the county court and is given a date for the sheriff’s sale. 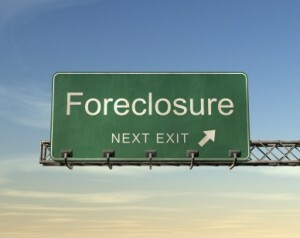 In the state of Minnesota, 95% of the foreclosures are done by advertisement foreclosure. The foreclosing bank must advertise in the paper (Finance and Commerce in Minneapolis) for 6 weeks prior to the sheriff’s sale. During this time, the bank will continue to try to get Mr. and Mrs. Homeowner to pay their past due amounts, including offering to add the missed payments onto the end of the loan. Unlike the information that the late-night infomercials give you, the sheriff sales in Minnesota are non-events. At 8:00 am, the sheriff “sells” the house to the highest bidder, which there is usually only one (the mortgage holding bank). At this point, the bank does not own the property, they simply have a legal right (called a “certificate of redemption”) to redeem the property at the end of the redemption period. The homeowner and/or tenants do not have to move on that date. It is just a legal proceeding. The mortgage is now gone. Mr. and Mrs. Homeowner can not simply pay the past due amounts and make everything better. They must secure a new mortgage or find other sources of money to buy the certificate of redemption from the bank to stop the foreclosure process. This period is called the “Redemption Period” and lasts exactly 6 months, starting on the date of the sheriff’s sale. Again, the homeowner and/or tenants do not have to move out. Plus because the mortgage is now void, the bank will not accept any payments from Mr. and Mrs. Homeowner. They are living for free. On the last day of the redemption period, the home legally becomes the property of the bank. They will typically have a company go over to the property and see if it is vacant. If the homeowner and/or tenants do not move out, they now have the same rights as a standard tenant that stays past the end of their lease. They must be evicted! The eviction process typically takes about 3 weeks in most Minnesota counties. Sometimes the bank will offer “cash for keys” which is where the bank will give the homeowner or tenant $200-$400 to leave the premises cooperatively. As soon as the property is confirmed vacant, the bank will change the locks. Depending upon time of year, condition of the house, and the bank’s backlog of properties, it can take 2-6 weeks for it to be listed with a Minnesota real estate broker. The list price is set by the bank after they obtain BPOs (broker price opinions) from 2-3 real estate agents. These are basically a mini-appraisal to help the bank determine a list price. Banks most often will only talk with a licensed real estate agent about doing a short sale. Mr. and Mrs. Homeowner must show that they can no longer pay the mortgage at the current amount. This will include submitting financial records and a “hardship letter” explaining how they arrived in this situation. A bank will typically not discuss a short sale unless the homeowner has missed at least one mortgage payment. Before the house is ever listed for sale, the real estate agent should be in contact with the bank to see if they will even allow a short sale. The bank does not set the price of the house in the short sale. The real estate agent lists the house on the market and when an offer is received, the offer, the hardship letter, and Mr. and Mrs. Homeowners financial records are submitted to the bank for approval. Because Mr. and Mrs. Homeowner are motivated to sell the property during a short sale, it is typically in better shape than a bank-owned property. Often they are still living in the house or the tenants will still be in place. The banks appear to give their short sale negotiators more latitude to move on the price so often low-ball offers will be accepted. Including a letter with your offer can help explain how you arrived at the price you are submitting in a short sale. These same letters will never be read with a REO property. A good short-sale real estate agent will include comps to support your offer price, thereby helping your offer. In neighborhoods where there are a significant amount of foreclosures, banks will simply continue to lower the price until the property sells. (This is why there are $30,000 houses in North Minneapolis). A REO property will often be in worse shape (than a short-sale property) as it has often been neglected or vandalized while vacant. A bank may have 1000s of REO properties on their books and they have no emotional attachment to this one property. They have company guidelines that allow them to only accept offers within a pre-determined percentage below the current list price. If you are outside those boundaries, they will not accept the offer. Additionally, I believe the answer, depends upon the neighborhood, the type of property you are buying, and your investment strategy. Particular neighborhoods may have short sales, but you may rarely see foreclosures. These are typically strong performing neighborhoods like South Minneapolis (around the lakes), Edina, Mac/Groveland in St. Paul. Other neighborhoods like North Minneapolis will have primarily foreclosures. If your goal is to buy an investment property that is ready to go, a short sale will typically be your best solution as it will often still have tenants occupying the property. If you want to maximize your long-term capital appreciation in property, buying a foreclosure that needs rehab is your solution. If you goal is to buy a single family house and move in, the answer depends upon if you want move-in ready or you want to do some work prior to move in (most foreclosures require some work prior to move in). OK. OK. I know you are thinking: “why doesn’t he finally get to the end of this and tell me what I want to know!” Tell me the to answer to short sale vs foreclosure. …I spoke to a couple of agents that work both short-sales and REOs as they will often list the property before and after the redemption period. Most say that the bank will put the REO property on the market at the same price as it was recently listed at during the short sale. Other banks will actually start the property higher to give them room to “season” the price, lowering it gradually until sold.